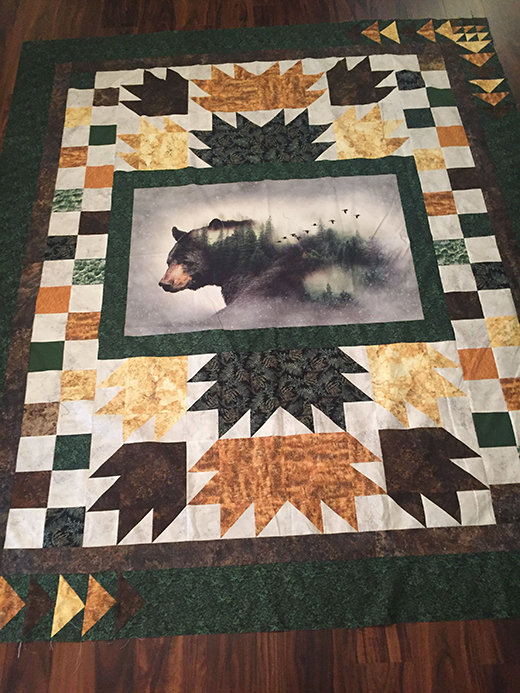 This Call Of The Wild - Bear Quilt designed By Kari Nichols of Mountainpeek Creations for Bear Creek Quilting Company, Featuring the Call of the Wild digital fabric along with Bali Batiks and Watercolors, The Pattern is available for free. Create a true work of art that will be the focal point of any room. Warm and woodsy.